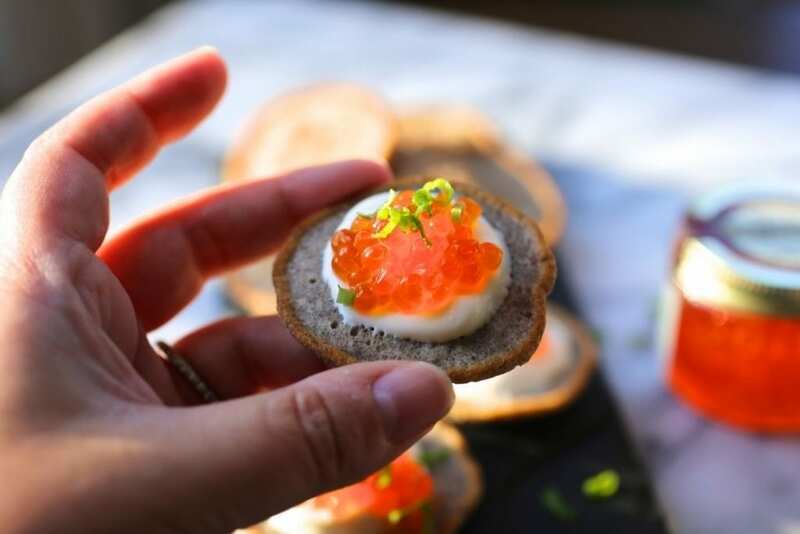 These buckwheat blinis have become our go-to new year’s eve appetizer – topped with creme fraiche and salmon roe, they taste as fancy as they look. I’m sorry, did you not know that we Nerds (with Knives) are not only skilled in the art of playing video games and discussing whether the 10th Doctor was the best Doctor (answer; yes. Yes, he was). We are also fancy mother-effers. It’s true. Every once in a while we like to make something that feels extra special. Usually on New Year’s Eve, we buy a little jar of salmon caviar and make our own home-made buckwheat blinis. 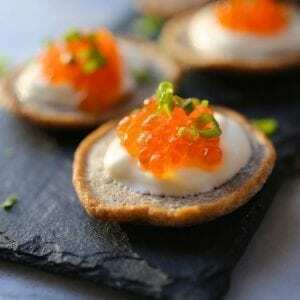 Now, I love caviar. It’s salty and briny and tastes like a mermaid’s dinner so one would think that the roe would be the star here. Wrong. It’s the blinis. They are so good. They have a lovely earthy flavor from the buckwheat flour but are also just a little buttery and rich. Honestly, I want to make them as pancakes for breakfast. They are also crazy easy to make so think about them for your next party. You could make them ahead and just warm them when you’re ready. 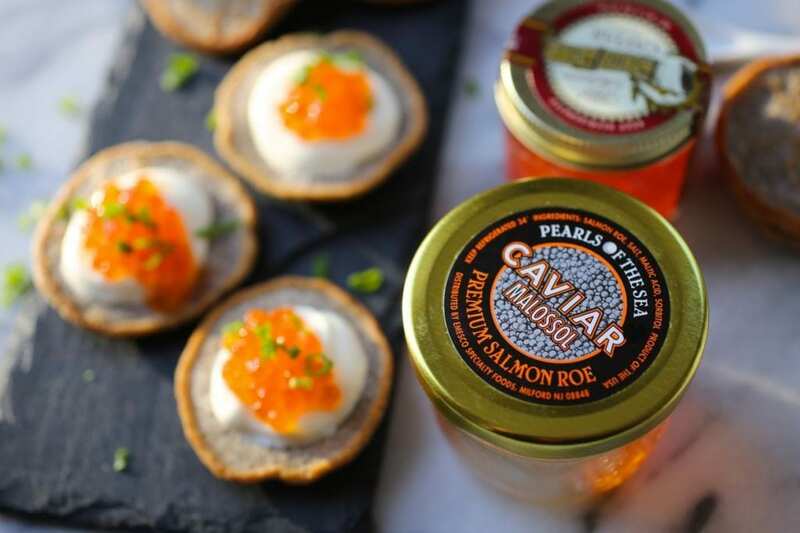 And if caviar is not your thing, you could top them with a thin little slice of smoked salmon or trout. It’s a great way to make a pricey ingredient go a long way since you only need a little bit of stuff on top. 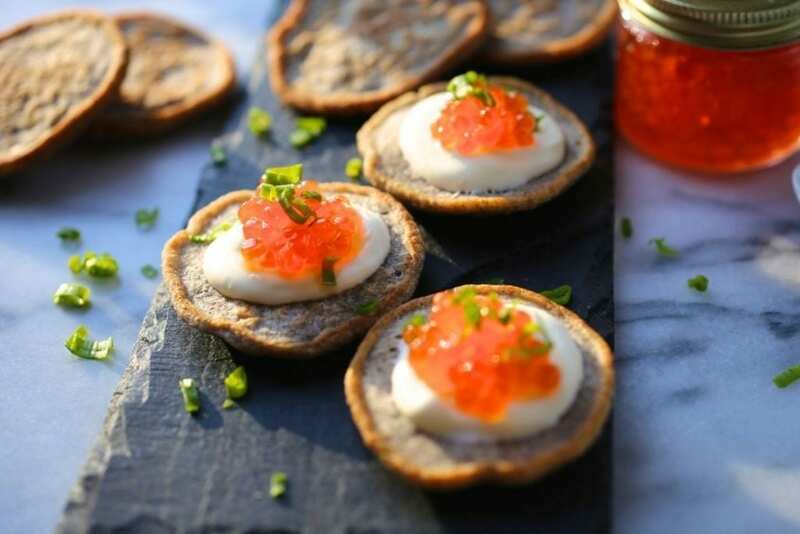 The method for the buckwheat blinis is based on this fabulous Barefoot Contessa recipe. I’ve made it with both clarified and regular butter and couldn’t really tell the difference so I wouldn’t trouble yourself unless you have some already. I also found that I needed much less butter than Ina calls for. I probably used two or three tablespoons instead of the full stick she recommends. We bought our caviar from our favorite store in town, Beacon Pantry. [Dork alert: Feel free to skip down to the recipe but, since it’s the new year and I’m feeling sentimental, I thought I’d share a few animal snaps for you Arya fans out there. 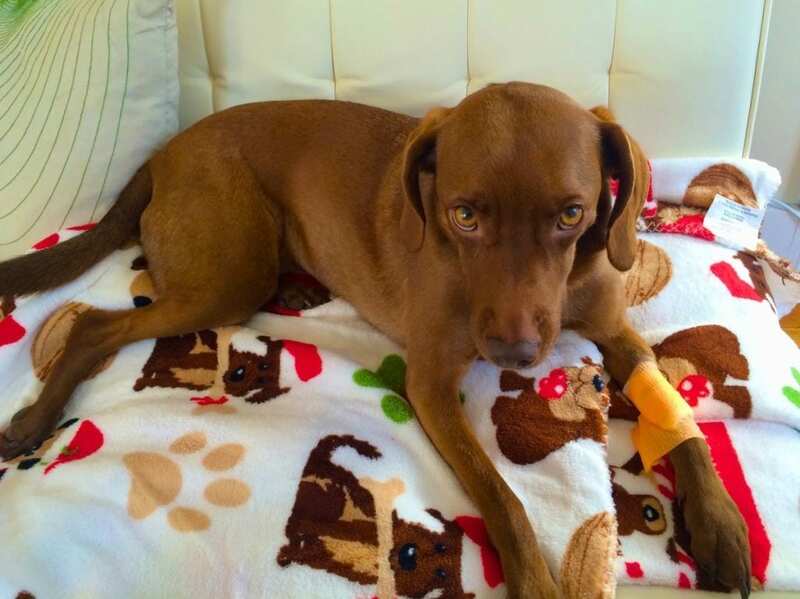 Not so funny story; a few days ago Arya ate two large bars of very dark chocolate and had to be rushed to the emergency veterinary clinic in Wappingers Falls (they were awesome, by the way). 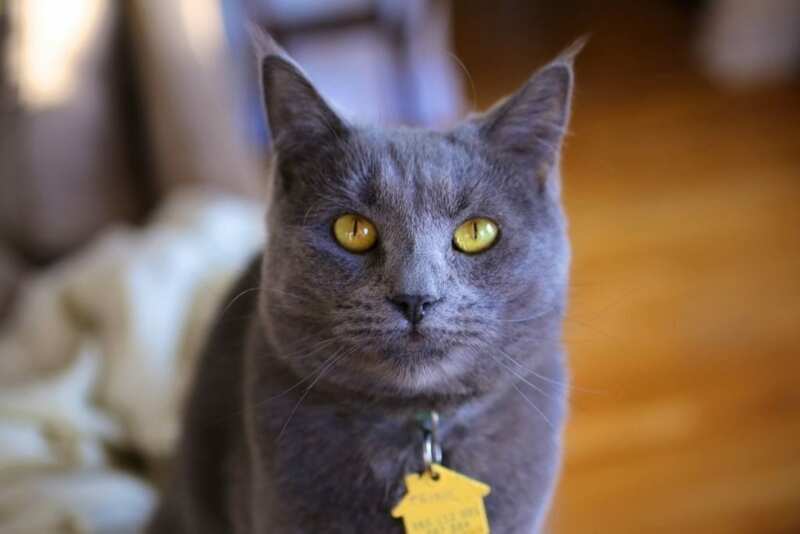 Luckily we discovered her shenanigans relatively quickly, and though she did have to spend the night hooked up to a heart monitor, she’s made a full recovery and is probably planning her next crime as I write this. Arya just back from the hospital. Look at her sad little boo boo I just can’t with that face. Trixie swears she didn’t give chocolate to the dog. SWEARS. Combine both flours, baking powder, and salt in a bowl. Melt 1 tablespoon of butter and set aside. In a separate bowl, whisk together the milk, egg, and the melted butter, then whisk into the flour mixture until just combined. Heat 1 tablespoon of butter in a medium saute pan on medium-high heat and drop the batter into the hot skillet, 1 tablespoon at a time (using a tablespoon measure makes this very easy). Cook over medium heat until bubbles form on the top side of the blini, about 2 minutes. Flip and cook for 1 more minute, or until lightly brown. Repeat with the remaining batter adding butter as necessary. Set aside. 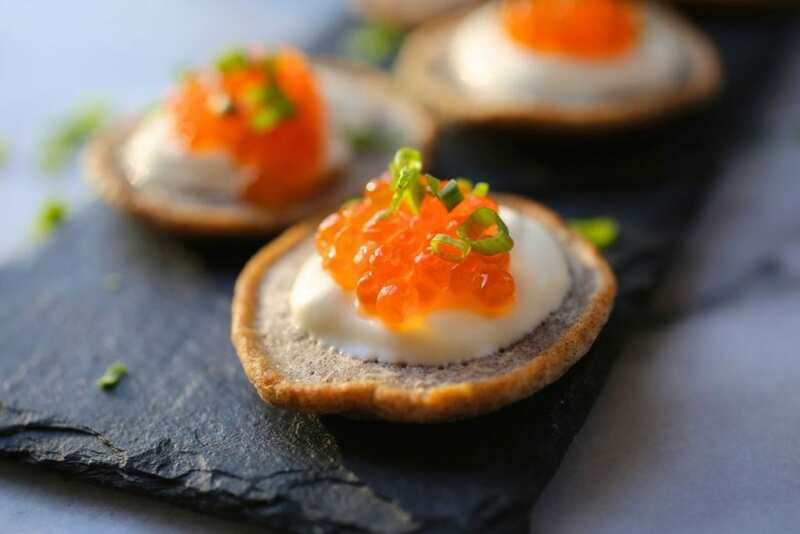 To serve, top the blini with a small dollop of creme fraiche and spoon on a little caviar. Sprinkle with chives and serve. I just started following your blog, & I’m so glad that I did! I love that your dog is named Arya because I am a GOT geek. Love these blinis too! Yay, GOT! It’s so much fun, isn’t it? 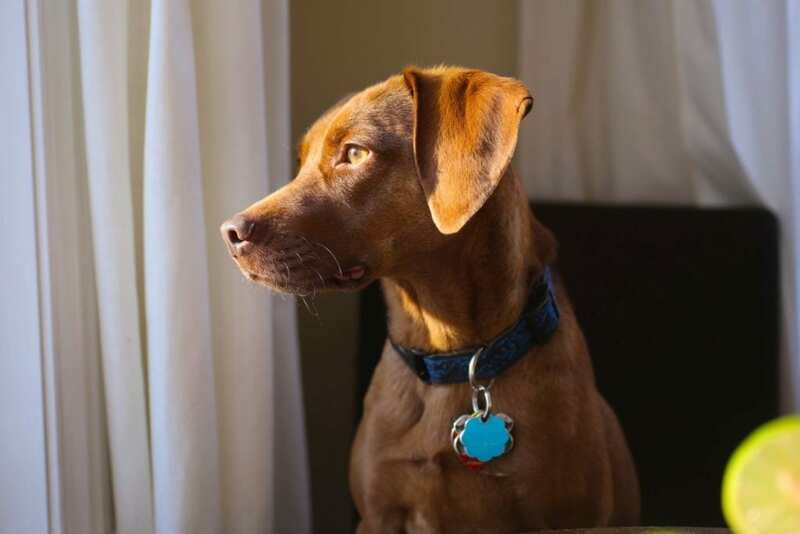 And our dog is such an Arya. Willful and funny. Can’t wait for March! Thanks for the blog love too. I like yours a lot too!